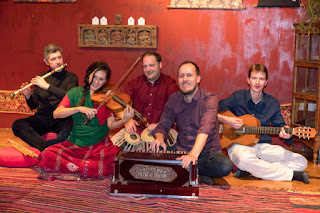 Many of you may remember the Austrian sahaj band "Wienananda". The band has transformed itself into ONE TREE which creates and perfoms melodious songs of all spiritual traditions in oder to show the unity and beauty of all of them, just as our Mother told us that they are "all branches on the same tree of Spirituality". The music of ONE TREE is so special, that even without knowing the texts you would sing to it! It can be perfectly used for all sahaj public projects/programms, because it is shows both the diversity and oneness, the songs reach out to people of all religions. It is a true treasure of Sahaj Music! The ONE TREE Band has released their first album "The Golden String" some time back and now they are working on the second one. Please support the release of the new "The Inner Kingdom" CD of this amazing yogi-band and help to spread the vibrations of joy! It is with great pleasure, anticipation and excitement that we invite you to join our crowdfunding campaign to raise funds for our upcoming album The Seed. We have been working together only a few months, but the creative productivity has been immense! We have composed many songs and we can't wait to share them with the world! YOU are an essential part of this project. Please visit our campaign at Indiegogo and make a donation in exchange for one of our perks. We depend on you to record and materialise these songs in a album so we appreciate your contribution immensely. Tanya Wells' musical inspirations cover diverse genres from folk/ blues/ jazz to Indian classical music and Sufiana Qalam. Naturally, these influences dictate her eclectic singing style and songwriting. Living in London she has worked with the likes of composer Nitin Sawhney, sitarist Anoushka Shankar, vocalists Natacha Atlas and Joss Stone. Her YouTube videos and audio recordings of her singing Pakistani songs has gained immense popularity on the internet and fans around the globe! She performs Indian music as well as her original songs live in London and elsewhere around the world. 'The Seed' album with Paulo Vinícius will be her first public debut of original music. Paulo Vinícius, originally from Brazil, has studied with the greatest virtuoso guitarists in the classical scene such as Fábio Zanon, Pablo Márquez and Franz Halász and has won several awards for his composition and classical guitar performances including the "Revelation Award" and "Raphael Rabello Award". Upon his arrival in Europe, he was selected to be part of the “Live Music Now” in Munich, founded by the legendary violinist Yehudi Menuhin where over the last four years he was regularly invited to play concerts in Bayern. 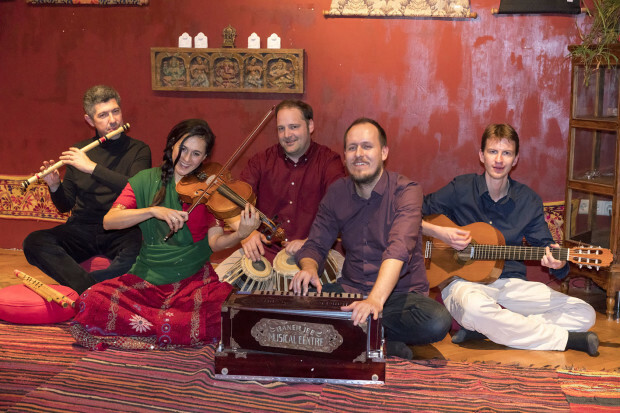 A researcher of musical performance, Paulo explores innovative approaches for performers' technique and on-stage awareness referring to hindu yogic philosophy and practices. As well as playing and composing for this project with Tanya, he is also currently working towards recording an album of solo guitar works which include his own compositions. Coming together to record their first studio album together in Brazil in February 2016, Tanya and Paulo have written and composed an album's worth of new material and plan to record them in a studio aided by other fantastic Brazilian musicians in Minas Gerais. Their songs have recently been received enthusiastically by audiences in Europe and the duo are excited about sharing these new songs with wider audiences.